I would apologize to Kentuckians but, as I’ve mentioned before, I lived there for a time during my formative years so I’m allowed to pick on my one-time home state. Also? Drew Curtis, Patent Troll Slayer, for Governor. Vote, y’all. In another alarming chapter of the “saved from a troll by a troll” play book, Jump Rope misses the rope itself and jumps straight into bed with Erich Spangenberg. Like Ditto before him, Mr. Braxton of Jump Rope found himself in the unfortunate position of having to take investment money from one of the founders of the business model that put his company in jeopardy to begin with. It seems a little “Munchausen by proxy”-ish to create a problem and then try to rescue people from it, Erich. 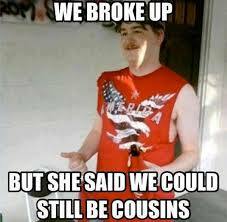 It’s like marrying your cousin, which is only allowed, if I’m not mistaken, in Kentucky. In reading a little more background to the story, it looks a lot like personality comes into play here, on the Smart Options side (Smart Options is the company that sued Mr. Braxton and Jump Rope). It looks to me like what you have is a very small man, in mind if not in physical stature, who didn’t like that Braxton wouldn’t play. But why should Mr. Braxton strike any deal with Smart Options, given that a judge had found that his software didn’t infringe its patent? (Emphasis mine.) The answer is because, as we’ve seen over and over again with patent trolls, they want you to pay up (or just disappear, in another sick and twisted plot theme I’ll be exploring in the coming weeks) and won’t stop harassing you until you do. I wonder what happens in a person’s life as children that they feel the need to throw their weight around as adults? What galls me the most is this white hat status that the likes of IP Nav are trying to throw around. 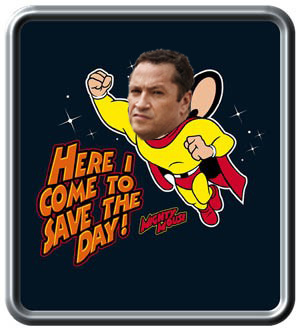 Here he comes to save the daaaayyy!! The story tries to play this out like a “patent troll done good,” but it’s horrifying. It’s one patent troll beating up on a startup, and then allowing a second one to come in and vulture up the leftovers. It’s certainly not good for innovation in any way. I feel for Mr. Braxton and for Kate Endress of Ditto who were so backed into a corner that they had to choose from two really bad options: shutter the company or deal with the devil. I’m not as convinced as Mike is that patent reform at the national level will take care of the problem without creating a bigger mess down the road. But there has to be a better way than what just happened here. 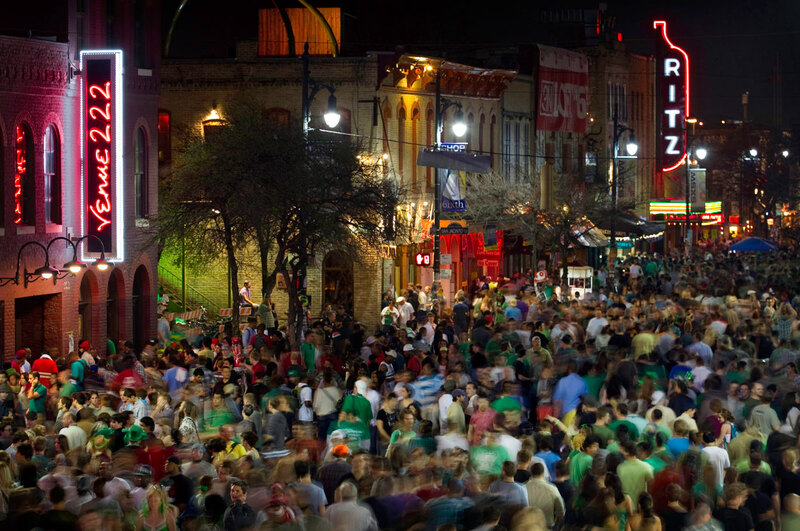 I’ve never been to 6th street and I’ll never go again. UCLA has chosen our esteemed sous-to-be Chef Nathan Mhyrvold as its 2015 commencement speaker. Nathan Myhrvold, an inventor, entrepreneur, author and UCLA alumnus, will be the keynote speaker for the UCLA College commencement ceremonies on Friday, June 12. He will speak at both the 2 p.m. and 7 p.m. ceremonies in Pauley Pavilion. Also? You spelled “renowned” wrong. It’s “infamous”. Under his leadership, Intellectual Ventures manages one of the largest and fastest-growing intellectual property portfolios in the world, with more than 40,000 assets and over $6 billion in total committed capital from many of the world’s most innovative companies and renowned academic and research institutions. Under his leadership, Intellectual Ventures and its myriad subsidiaries has amassed one of the largest and fastest-growing collections of trollable patents in the world, with over $6 billion in total extorted capital from many of the world’s most innovative companies, some of whom can no longer afford to be in business because of the threat of lawsuits. Also, he wants to be a chef. The coolest thing about this is that at least one student on campus has heard of Mr. Mhyrvold’s goings on and took the opportunity to say “Duuude, we need to vet these speakers before y’all go off bringing in trolls and stuff.” Or something like that. He is the cofounder [sic] of Intellectual Ventures, the worlds biggest “patent troll,” a company that exploits the loopholes in the patent-granting system by collecting patents and suing other companies, both big and small, hoping to get a piece of their revenue. Welcome to the side with the white hats, Ari. I only wish I had taken myself up on my dreams of attending UCLA so I could write a scathing letter to the Alumni Association, letting them know how I felt about this bad apple choice of a speaker.